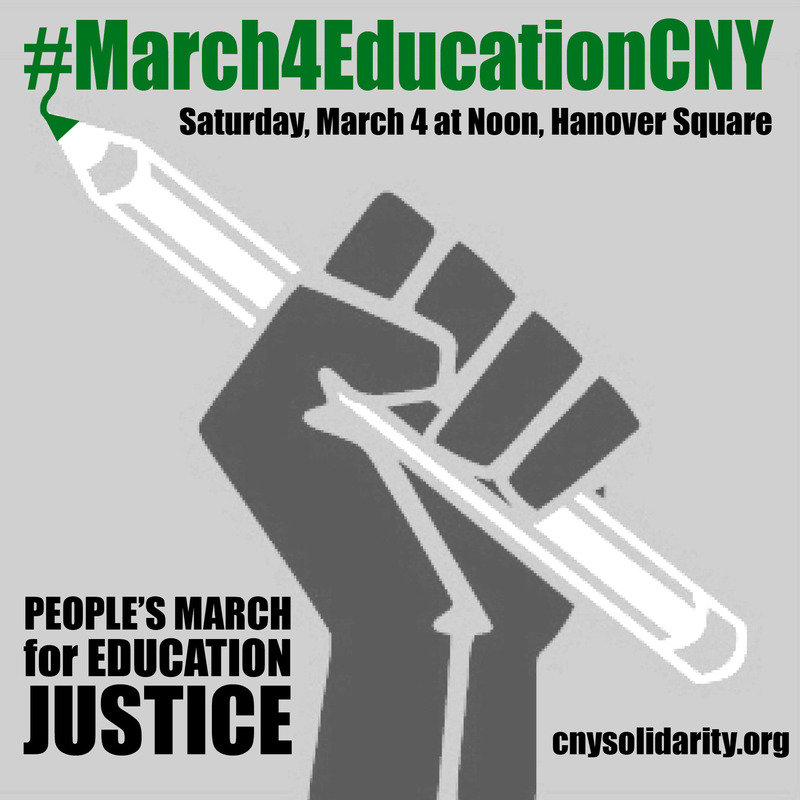 On Saturday, March 4, students, teachers, parents and community members across New York state will stand up for education justice. 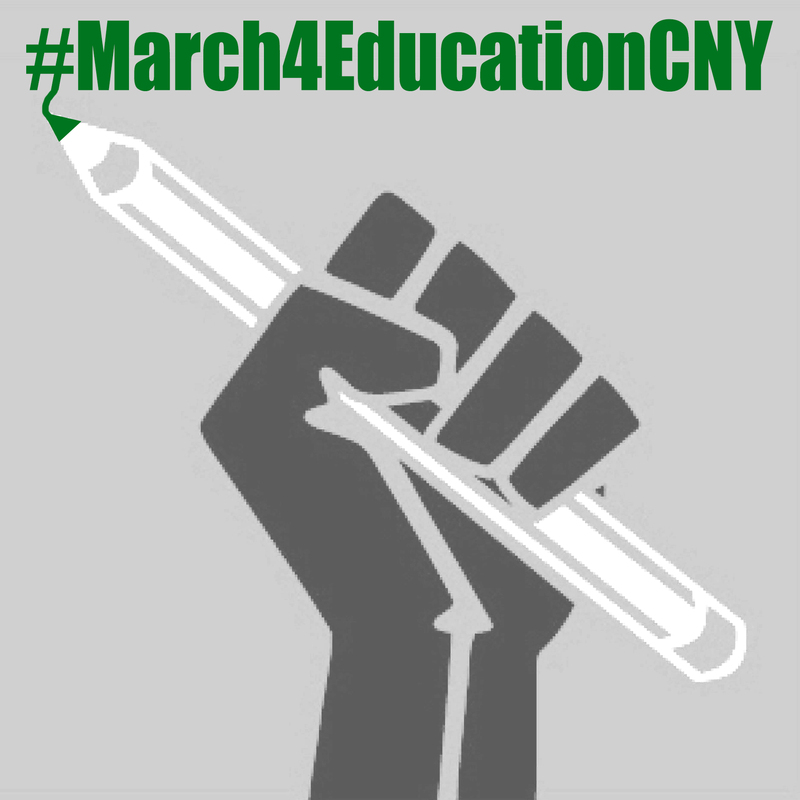 Here in Central New York we will rally and march in downtown Syracuse to send a bold message to our state and local representatives that we are ready to defend public education. We stand together and march for fair and fully funded public schools, to protect the educational rights of students with disabilities, to end the school-to-prison pipeline, and to increase access to early care and learning opportunities for babies and toddlers. We are marching to protect our youth, and demand the New York Legislature do the same. Our tentative schedule is to rally at Hanover Square 12:00-12:45. There is some outdoor seating in the square. It is a paved surface. We will then march a few blocks to the New York State Office Building. This event is co-hosted by CNY Solidarity Coalition and Alliance for Quality Education of New York.